I expressly declare that by submitting the requests and booking requests to Canyoning Croatia you voluntarily put on disposal necessary data and allow them to use it for all the jobs you enter and sign up with the Canyoning Croatia. 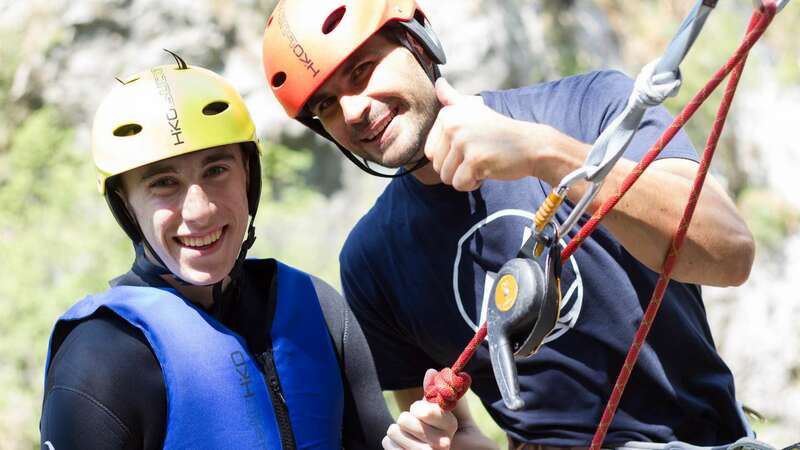 In accordance with the “Privacy Protection Act”, the Canyoning Croatia undertakes to collect the personal data of its users only and solely with their permission and for the purpose with which the user of the service has been previously acquainted. In order to realize the required services and provide the necessary information regarding the same, the Rafting Pirate will only use the information you give to us personally. We undertake not to sell them, take them out to the public or give them to a third party in a way that is not mentioned in this statement. Every user has the right at any time to request the deletion or updating of their data, by sending a notice to our email. When using our service, buying a product etc, we will request personal details of the end users (name, surname, contact number), ie the information we need to be made for valid services. These data will only be used for the realization of the service and will only be available to partners participating in the realization of the service. Payment details (such as card numbers, etc.) are specifically protected and are only available to banks or credit card holders due to the need for payment authorization. If you notice that Rafting Pirate does not comply with these principles or you have any other remarks on the way you do business, please let us know at our email and we will use all the economically justified efforts to investigate and correct the problem as soon as possible. Rafting Pirate website uses Google Analytics for remarketing purposes. Rafting Pirate websites contain links to other websites, and please note that Rafting Pirate cannot be held liable for the privacy of those websites. We emphasize the importance of the Privacy Statement that you can find on all other websites and draw attention to the content of the same. This Statement and Privacy applies solely to the information collected on these websites. What is a cookie? – The cookie is a text file that, at the first-page visit, your web browser stores on your hard drive. This enables faster uploading of pages already visited. The cookie does not contain any personal information, but it helps us to provide you with special services while on the Web. “Cookies” are an option offered by your web browser. Most Web browsers are set to automatically accept cookies, but if you want, you can change your browser settings by rejecting cookies. IP addresses are used for the purpose of analyzing the trends and maintenance of Rafting Pirate website and are not the personal data that can be identified by an individual. In case you wish to apply for Newsletter, we will request your approval information, such as name and email address, which we will only use for these purposes. At any time you can unsubscribe from the list by clicking “Unsubscribe” at the bottom of the mail or sending an application to our email where you will be asked to remove your information from it. Rafting Pirate website takes all steps to protect the user’s information. Entering confidential information is completely safe and the same are protected. Access to it is limited only to people who are required to provide the quality of the service requested. The contents and formats on this site are the property of the Rafting Pirate, apart from the works of photos that are not used for commercial purposes and at the request of the author or the owner will be withdrawn from the site (unless otherwise agreed). The information on this site is considered correct at the time of entry. All data will be reviewed regularly, and any errors will be removed immediately. Rafting Pirate reserves the right to change the information on this site without any special warning. By using these websites you agree that the information obtained here will not be used for prohibited or illegal purposes or actions.